Like birth stories, I never tire of race stories. Ever. I love your gory details of sweat and push and finish. I want all of it – how was the labor, the big day prep and your spouse? How did your body and its functions feel? Take your time, tell me all of it – I have a glass of wine and you have my full attention. Don’t leave out a thing. Be careful, if you are a runner or a parent and you come over for happy hour the conversation just may gravitate here. 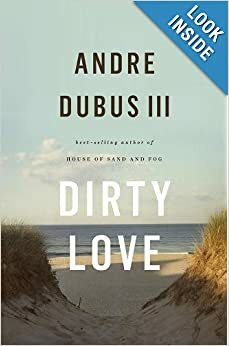 Not that I am assuming you are as riveted by such a thing or that you have a particular fancy for my stories but if you are at all connected to the ultimate push you might appreciate that I am dilated to about a 4. I am giving birth to my third marathon in 3 days. It’s a bit of a long labor but much more fun than the one did for him. At 8 pounds 13 ounces it felt like he came out this size. So worth it. So love my boy. I learned the hard way that drugs, labor, and me don’t mix so I switch things up and had a mid wife deliver my next 2. My first marathon was a bust. Horrible feeling, injured, sick (recovering from pneumonia) but I did it. It took a very, very, long time but in some ways it was my best one. It didn’t let anything stop me. And I gave birth to this. My fist marathon. Felt like I had popped out a 26.2 pound baby. But I had her waiting for me after she rocked her 4th half marathon. My blessing of a friend since we were 4. I love her so much. I wish Dawn could come to Miami. My family drove 2 hours for the day. I am so blessed I want to cry. Baby #2. She came out fierce. I love her so much. Worth the labor – not nearly as tough as #1. I was relaxed and one under my belt. Just like marathon #2. Still tough but easier, more fun and I had him to run me in. That’s not the Incredible Hulk in green. That’s my incredible husband. He risked shame and entered the marathon as a bandit at Mile 19 and ran me home. Sounds like baby delivery. And the third one was so sweet. The baby, the delivery without drugs and the afterglow. Sweet baby, Jane. I know 3 things, Clair. This is going to hurt. You can do this. And you will have a baby in 15 minutes. Amy said almost the same thing about marathon #3. She said we can deal with the pain. The reaction to it is just a mind game. You will bag another marathon in 3 days and 26.2 miles. I love her. And I believe her. 3 babies. After Sunday, 3 marathons. No more babies. God willing many more races. Thinking about a big, big, boy. 50K. See you on the other side. Florida, here I come. Shut Up and Run! , says she almost 365 days a year through her insanely popular, funny, inspiring and often irreverent blog of the same name. 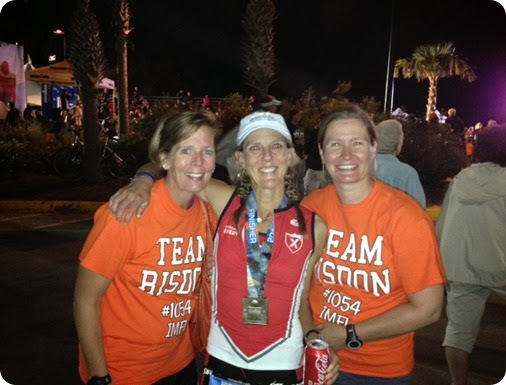 She’s a wife, mother, social worker, certified running coach, marathoner, blogger extraordinaire and as of Nov 1 – Beth Risdon is an Ironman. Clair, Beth and Erika – now even more bonded! It was an Unbelievable, Life-changing experience. For Beth and all the athletes. For spectators/cheerleaders like Erika and me. Witnessing the true grit and will of the human spirit (especially from someone you adore) during an Ironman was just awesome. I dare you not to get super inspired by these super heroes. I am in awe. I want some of the Kool Aid. If you’ve stopped by MarryMeYoga like, ever (Thank you!) you might know that Beth of Shut Up and Run fame is a dear friend who agreed to let me pick her brain about Yoga, training for endurance sports and her approach to getting it all done – Ironman – the granddaddy of endurance. 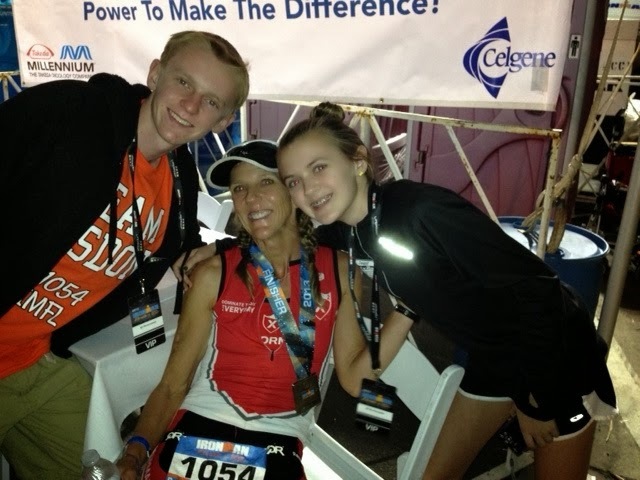 Yogi’s, marathoners, triathletes, health aspirants and lovers of life – I hope you enjoy this Interview with an Ironman. Beth, You are an accomplished tri athlete with drive like I’ve never seen. You stay as fit as ever even when you aren’t training for a specific event. Over time, where has Yoga fit in to all that? For years, like the past 15 years, yoga has been an integral part of my workout routine. I always saw it as a treat I gave to my body. A time to slow down, to think, to not be so crazed and manic. For someone like me who tends to be very “Type-A”, yoga forces me to calm the eff down. Whereas you have run impressively in a number of high-profile events like the Boston Marathon and participated in triathlons, relays, and cycling events galore (not to mention a 21-mile run with Dean Karnazes) I want to focus on your recent Ironman finish in Florida. I followed your blog to keep up with your training schedule. Wow! Will you comment on the overall physical demands of Ironman training? It wasn’t as bad and grueling as I expected. I am still not sure why. I came into training with a decent foundation as I had just run a marathon. Yet, still, I ramped up from training 6-7 hours per week, to doing 12-17 hours per week of swimming, biking and running. For me, the key to not falling apart was sleeping well, good nutrition and time management. And wine. Yes, there were days I cried because the workouts were really long. But, for the most part my body really loved the challenge and the variety. And now your family. I know you are a passionate wife, mother, and friend. How did you prepare Ken and the kids and others you spend time with for the time commitment of this undertaking? We talked about it in the beginning – how I was going to need for them to understand I might be tired and how they might have to pitch in more than normal. I made it my absolute priority to not let my training adversely affect my family. This meant early morning workouts, doing family things when I would have preferred to nap and letting some small things go. The house wasn’t always its cleanest, and our dinners involved lots of short cuts. But my marriage survived and Ken even told me he thought I did a good job of balancing it all. Again, time management and planning are key elements. That said, I am a huge believer that my kids need to see me taking time for myself and my goals. It can’t always be about them. And now your job and your writing. How the heck did you fit everything in? I make a list at the beginning of each week that includes all work deadlines, training sessions, appointments, etc. I break it down per day. There is no magic answer. I don’t mess around. I just do it. There was little time for reading books, socializing and other things, but I met all of my obligations. Let us in to your heart and mind for a second. I described you to friends of mine as one with the heart of a champion. Will you comment on the mental and emotional aspects of training. It’s simple. I do not entertain the thought of giving up. I do not give myself the choice to NOT do a workout. There is no excuse (with the exception of being injured or sick) that is good enough to keep me from my training. It is a decision that a person makes. I think people make motivation and discipline a very complicated process. It is not. You simply have to become comfortable with being uncomfortable and realizing it won’t kill you. Do you see aspects of Yoga in any of that? Absolutely. Yoga teaches you to be strong in mind and spirit. It all goes together. Did you have any specific visualization of meditative aspects to your training – especially as race day approached? Yes. Mostly I visualized myself being in my lowest low mentally and physically and what I would tell myself to get out of that space. It usually involved telling myself that things would not necessarily get worse. It also involved staying in the present. With the Ironman distance, you can easily doom yourself by looking at the day as a 140.6 miles to cover and 13 hours of constant movement. The key is to only accept what is in front of you. Okay – now I am going to swim for an hour and a half. Now I’m on the bike. I am going to ride for 20 miles and see how I feel. You have to break it up into sections that your mind can accept. No one should go into an Ironman saying “I am now going to swim 2.4 miles, bike 112 miles and run a marathon!” It’s simply too overwhelming. Beth accepting what’s in front of her – not a bad view! What’s next? Thoughts on your Yoga going forward??? I’ve got the LA Marathon coming up in a few weeks and I’m hoping there will be another Ironman for me this year. I’m also planning my first ultra marathon trail race (50K) in September. I’d like to bring yoga back into my fitness regime. I do believe it feeds the body and soul in a way that nothing else does. So many treasures to ponder, Beth. Thanks for letting us in to an Ironman’s lair. My biggest take away is the time management piece. Writing things down, organizing – sticking to the plan. Let the people who count in on your goals and heart’s desire. Be honest, own where you are. Inspire others to really live. I know Beth has done that for me as an athlete and as a friend. And of course Yoga along the way to keep your body and soul in check. I do believe (Yoga) feeds the body and soul in a way that nothing else does. P. S. Thanks for the Interview. Love ya! The surf was rough for the swim. Of course they couldn’t resist my Beth on the bike. I couldn’t either. Here she is at mile 80. Happy as can be. 2.4 miles swum. 112 miles biked. 13.1 miles ran. Only 13.1 more to go. I couldn’t have enjoyed my time more with Beth’s parents, whom I love. And just when I thought it couldn’t get any better. Beth met her aggressive time goals and I ran into a friend I haven’t seen in 20+ years. He too was supporting a good friend doing this crazy thing. God, it was cool. We are exhausted here. This is at the end. Spectating is also an endurance sport. I managed my 11 mile run while wallowing in God’s creations. Gorgeous skies, and witness to amazing human will and determination. smitten and bitten by the mysterious yet powerful Ironman bug. Somehow I knew this would happen. It’s message was about the definition of surrender. What it means to truly allow your life to happen, not just to let go but to get out of your own way and surrender to what already is. There is risk. There is the falling sensation. Free-falling without the guarantee of anything. In some magic moment with surrender, you will find yourself in the embrace of utter perfection – God – as your struggles, expectations fears and anxieties magically disappear. Beth is feeling sad that the magic of Ironman 2013 is now behind us. I can totally understand. Who would want to let something like that go? Truly she can surrender it to the universe because I am here to tell you that kind of magic: of friendship, athleticism, human bonding and fellowship is my embrace. It is a beautiful thing. 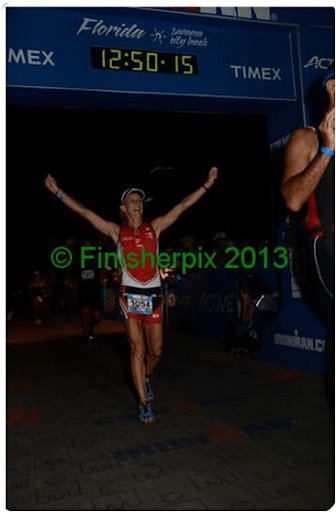 Marry me, Ironman Florida 2013.